Millennium Airport Hotel Dubai was named Middle East’s Leading Airport Hotel by the World Travel Awards (WTA) 2016 for the fifth time which firmly positions it as one of the best rated hotels. Being recognised by the ‘Oscars of the Travel Industry’ this inspires us to continue to exceed guests’ expectations and build a reputation by providing an exceptional service and well thought-of customer centric approach. 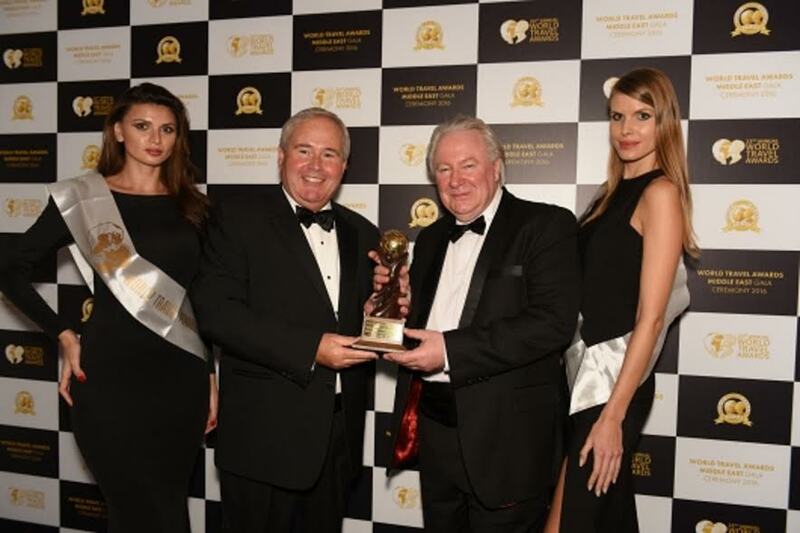 The gala ceremony, during which Millennium Airport Hotel Dubai was awarded this honour, was attended by over 400 guests, experts and decision makers from the Travel and Tourism industry. “Our industry is moving at a rapid pace and we are required to constantly upgrade our services. It is our endeavour to offer our customers world-class service in a comfortable atmosphere,” Mr. Moore added. This year’s winners will be nominated in the finals of the WTA being held in the Maldives later this year. The award-winning Millennium Airport Hotel Dubai is a contemporary lifestyle destination for those who desire to be at the centre of Dubai’s pulsating business and cultural scene. Named Middle East’s Leading Airport Hotel at the World Travel Awards 2016 for the fifth time since 2008, this exceptional hotel is conveniently located near the Dubai International Airport just five minutes’ drive away from Terminal 1, 2 & 3, city’s major central business, historical districts, tourist spots, shopping centres and entertainment hub. Featuring 341 spacious guestrooms including Superior rooms and Suites, Club floors, and Executive Deluxe Suites, rooms are equipped with outstanding amenities; Millennium Airport Hotel Dubai caters to discerning global business and leisure travellers, and is known for its engaging service. On site are a distinctive choice of restaurants and bars, world-class meeting facilities and a range of leisure options including superb large outdoor swimming pool and fully-equipped fitness centre. The hotel has just upgraded its facilities with a massive expansion of seven new meeting rooms, adding four new restaurants as well as a Grand Ballroom with over 6, 448 sq. ft space.